The date on this engraving shows a correction from 1505 to 1508. Evidently, it was begun before the artist's departure for Italy in 1505, and completed after his return. 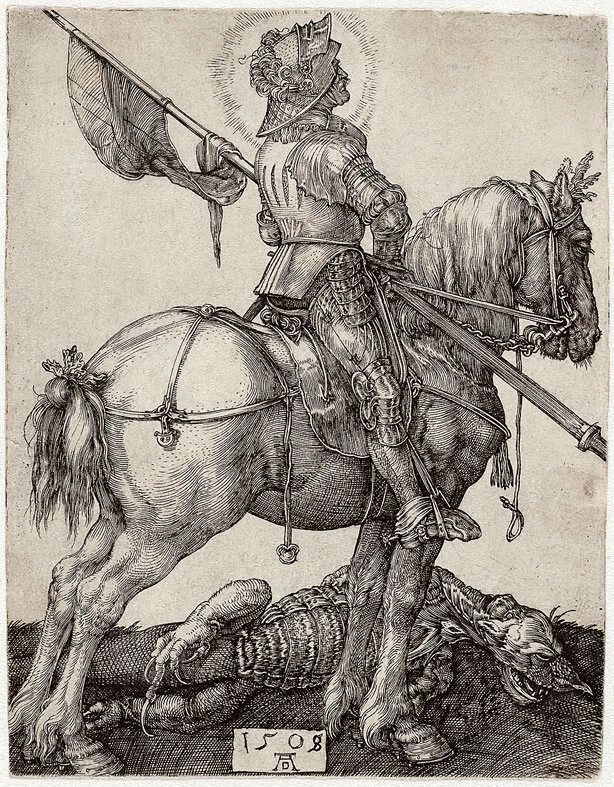 The print is one of a number of works depicting horses that Dürer made in first years of the sixteenth century. Signed and dated l.c., [incised plate] "1508 / AD [artist's monogram]". Piety and Paganism , Sydney, 1991, 12.